Mummified monk from 200 years ago found perfectly preserved in meditating pose – Mirror Online. Student protests steer China to spiritual rebirth | The Times. WASHINGTON – Even as the Communist Chinese government recently cracked down on Christian communities, Christianity continues to grow rapidly in the People’s Republic. This was the observation noted by a panel – titled “Christianity in China: A Force for Change?” –sponsored by the Brooking s Institution on Tuesday. Experts discussed the growth of Christianity, especially in the years since 1989, after the infamous crackdown on demonstrators at Tiananmen Square. 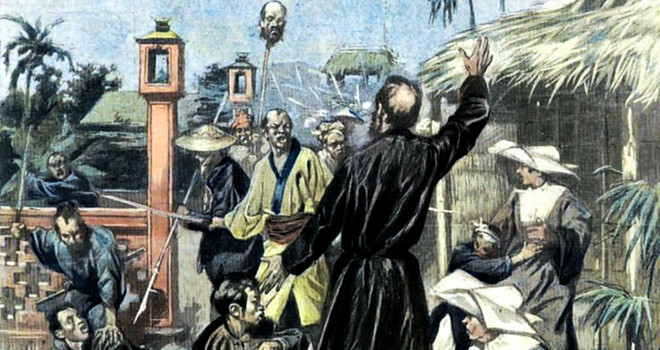 Carsten Vala, assistant professor at the Political Science Department of Loyola University Maryland and one of the panelists, told The Christian Post how many Chinese Christians view recent actions against them. “Chinese Christian leaders look at this as a winnowing effect, so those who are not true Christians will leave the churches; the ‘Sunday Christians,'” said Vala. Held at the Falk Auditorium, the event featured two panels on Christianity in China, focusing on topics such as the socio-political status of Christianity in the Asian country and how Christianity is influencing civil society. In addition to Vala, the first panel of speakers featured Liu Peng, professor at the Institute of American Studies at the Chinese Academy of Social Sciences; the Rev. Zhang Boli, head pastor at Washington Harvest Chinese Christian Church; and Richard Bush, director and senior fellow at Brookings’ Center for East Asian Policy Studies, who moderated the first panel. “I am also very interested in this subject because it’s a key issue for understanding the dynamics of state and society in China,” said Bush. Vala gave a presentation to those gathered in the auditorium about his research among Chinese Christian communities during the 2000s. Focusing mostly on Protestant Christianity, Vala noted that a large number of Chinese Christians are younger, well educated, and have only been believers for a relatively short amount of time. Vala told CP that in contrast to their American counterparts, Protestant and Catholic churches in China rarely cooperate on matters like activism, as they have strong boundaries. “The words for Christianity, for Protestant and Catholic Christianity are different. Even the words that they use for God is different, so it is seen as really a separate religion in a sense,” said Vala. A human rights activist who was present at Tiananmen in 1989, Boli spoke through an interpreter about more recent persecution of Christians in the Communist nation. Boli provided photos and descriptions of churches, including ones registered with the government, that first had their crosses removed by the government and then were demolished. Boli noted this cracking down as happening on both “Three-Self churches,” which are congregations that registered with the government, and “house churches,” which are not registered with the government. When asked by CP what American churches could do to help Chinese Christianity, Vala responded that there were two important things. “I think the first thing is to learn more about the diversity of the church. The churches are, some are still flourishing while others are being persecuted,” said Vala. According to Chinese government records, there are approximately 33 million Christians in the People’s Republic. Given the many unregistered “house churches” in the country, many believe the actual number to be far larger. Thousands of Chinese Christians have mounted an extraordinary, round-the-clock defence of a church in a city known as the ‘Jerusalem of the East’ after Communist Party officials threatened to bulldoze their place of worship. In an episode that underlines the fierce and long-standing friction betweenChina’s officially atheist Communist Party and its rapidly growing Christian congregation, Bible-carrying believers this week flocked to the Sanjiang church in Wenzhou hoping to protect it from the bulldozers. Their 24-hour guard began earlier this week when a demolition notice was plastered onto the newly-constructed church which worshippers say cost around 30 million yuan (£2.91 million) and almost six years to build. Officials claimed the church had been built illegally and used red paint to daub the words: “Demolish” and “Illegal construction” onto its towering facade. The threat triggered a furious reaction in Wenzhou, a booming port city known for its vibrant Christian community, said to be China’s largest. Hundreds of people, including elderly and in some cases disabled women, have now occupied the church to prevent demolition teams moving in. “There are bad people out there trying to damage our church so we must defend it,” said Li Jingliu, a 56-year-old former factory worker who has been sleeping in one of its back offices since Wednesday. Wenzhou, a wealthy coastal city around 230 miles south of Shanghai in Zhejiang province, has around seven million residents. Local Christians claim as many as 15 per cent of them are church goers, the majority Protestant. Red crosses and spires still adorn the skyline of a city where British missionaries, including George Stott, set up churches towards the end of the 19th century. Wenzhou’s underground “house” churches – those unwilling to comply with Communist Party rules – have long been subjected to sporadic crackdowns, such as one in 2000 that saw hundreds of churches and temples demolished across Zhejiang province. However, the Sanjiang church is part of the Three-Self Patriotic Movement, China’s officially sanctioned and government-controlled Protestant church, making this week’s stand-off highly unusual. Parishioners believe their church was targeted after Xia Baolong, the provincial Party chief, visited the region and was unimpressed by the prominence of a church built to house thousands of worshippers. “His behaviour is illegal. He has abused his power. The construction of the church is not against the law,” said Wang Jianfeng, a 47-year-old man from a nearby congregation who was among hundreds of people gathered on the steps outside on Friday in a show of force. Wen Xiaowu, another visitor, said he believed China’s president would be “displeased” with his Communist colleagues in Zhejiang. Sanjiang’s resistance has been organised with almost military precision. A makeshift kitchen behind the altar provides rice, pork and fried liver with leeks for those occupying the church while women hand out bottles of water and satsumas at the entrance. By day, Christians from around the province crowd the church’s steps, with undercover security agents mingling among them, snapping photos and eavesdropping. By night, hundreds of worshippers take it in turns to keep watch, grabbing a few hours of sleep on cramped wooden pews between shifts. The dispute over Sanjiang has highlighted the ongoing difficulties facing China’s fast growing Christian community. In 1949, when the Communist Party took over, it boasted around one million members. 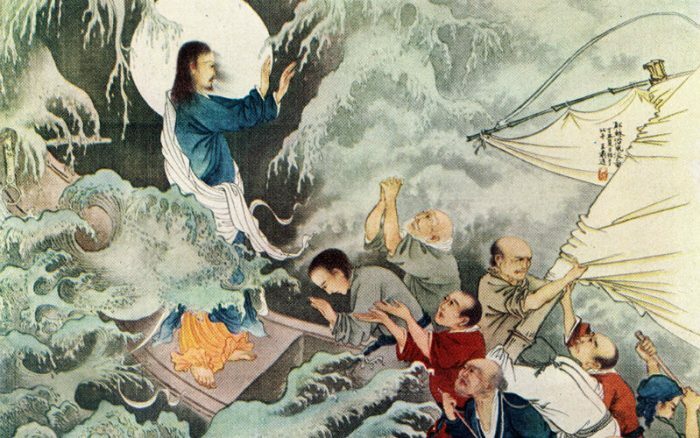 Today, there are thought to be more Chinese Christians than Communist Party members, with up to 100 million mainland believers, according to some estimates. Life has improved since the days of Mao Tse-tung, who saw religion as “poison” and presided over the decade-long Cultural Revolution when churches were ransacked and burned. However, campaigners say that while the constitution guarantees freedom of religion, Beijing still maintains a tight-grip on what many leaders see as a potential challenge to their authority. Members of Sanjiang’s congregation said that, under Chinese law, they were only allowed to worship on Sundays. Preachers were required to avoid politically sensitives topics. A woman who introduced herself as a representative of the local government rejected claims the Communist Party was persecuting local Christians. “They can believe. This is free. We can’t control them,” said the woman, who gave her name as Zhang Biyao. Ms Zhang said the church had been illegally built and was structurally unsound. The government wanted to protect “people’s safety,” she claimed. Yang Zhumei, 74, said she had pleaded with officials to leave her church alone. “Even if they take my head, I can still find happiness with God,” she shouted.